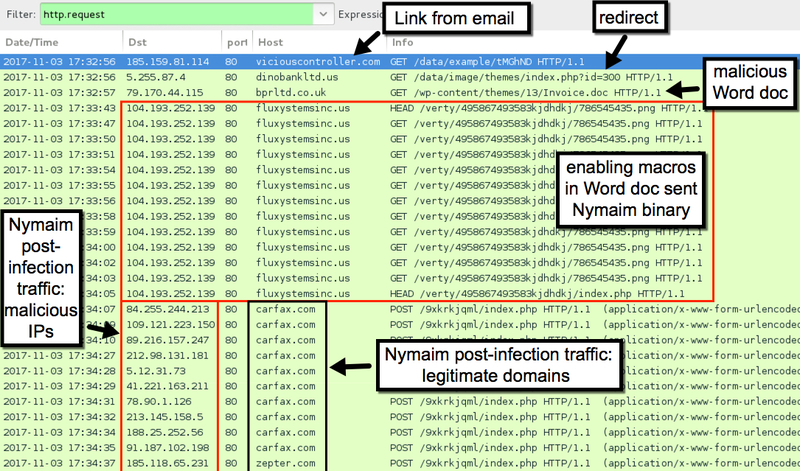 See "2017-11-03-Nymaim-malspam-notes.txt" for domains, IP addresses, file hashes, and other indicators. 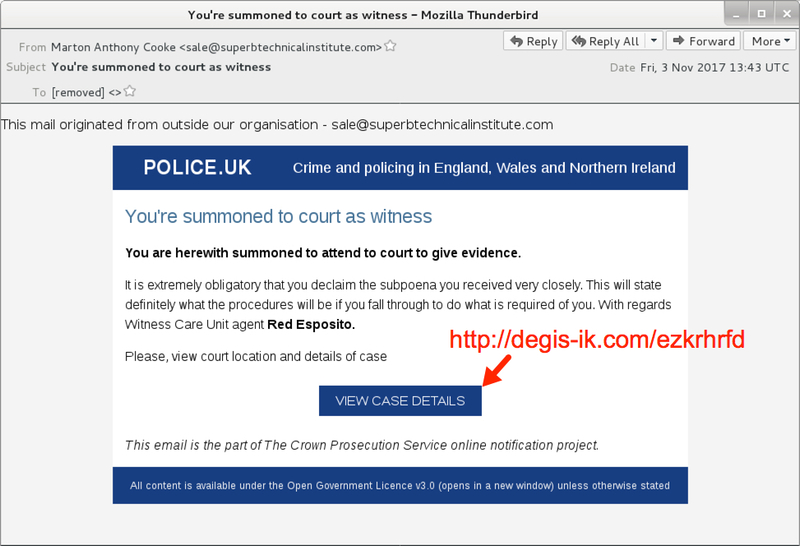 The malspam sample was provided by individuals best described as "miscreant punchers." Thanks for the info! You know who you are. Shown above: Screenshot from the email. Shown above: Infection traffic in Wireshark. 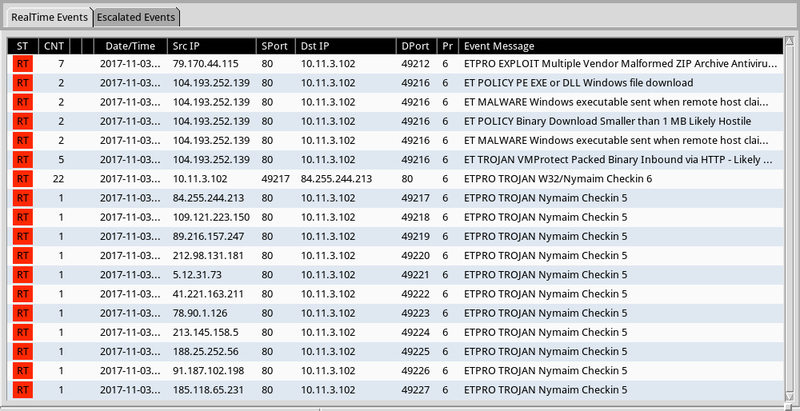 Shown above: Alerts on the infection traffic from the Emerging Threats Pro (ET Pro) ruleset using Sguil on Security Onion.